This is Part 2 of a series of posts I’m writing about how I made Final Track, a 34-page shojo manga I worked on as my submission for the Yen Press New Talent Search. Now that you’ve got some ideas, it’s time to choose one and focus on crafting it. I’m going to be honest with you and admit this is the most difficult part of the process for me. You’ve really got to be patient during this process because if you care about creating an interesting, meaningful story, it comes with a price: dedication, perseverance and time. 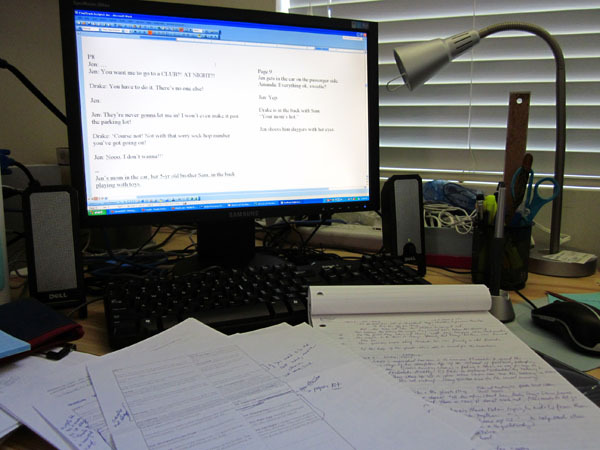 Ever since I was introduced to the craft of screenwriting (writing for TV and movies) by my writing partner (@nathango), I started paying more attention to elements of stories I previously used to gloss over. I started running into terms like character motivations, conflicts and resolutions and felt like I was learning vital notions I could use in creating comics. I’m sure there are plenty of great books for how to write comics, too, but I’ve been in love with movies longer than I’ve been reading comics so it was just a matter of preference. It certainly helps to have someone with you through the brainstorming period in which your story takes shape. I’ve worked with Nathan, my co-writer on Final Track, on projects before and I know we care enough about creating a good story that we can get into lengthy debates over important things. We talk about characters first and what their journey will be like. Then, one of us makes a rough outline of how we think things will go. 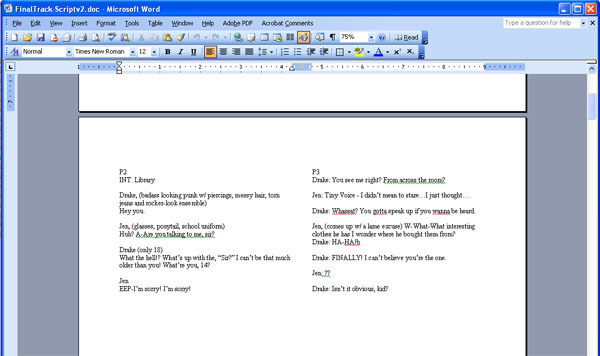 Once we get to this stage, I take over and make my first pass at dialogue. 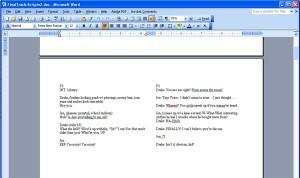 When I script, I just use MS Word and change the layout orientation to landscape and create two columns per page. Recently, I’ve also tried just having the page view showing 2 pages simultaneously. The Insert>PageBreak function is especially useful when I want to write for a new page. I do this to get a feel for where the page I’m writing falls: right or left. (In this case, my assumption is based on a printed comic book layout.) 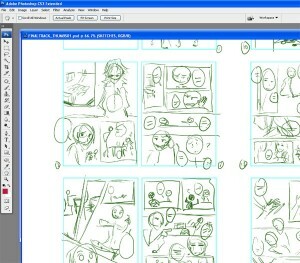 That way I can plan important scenes like surprises on a left page so you don’t see it coming until you turn the page. 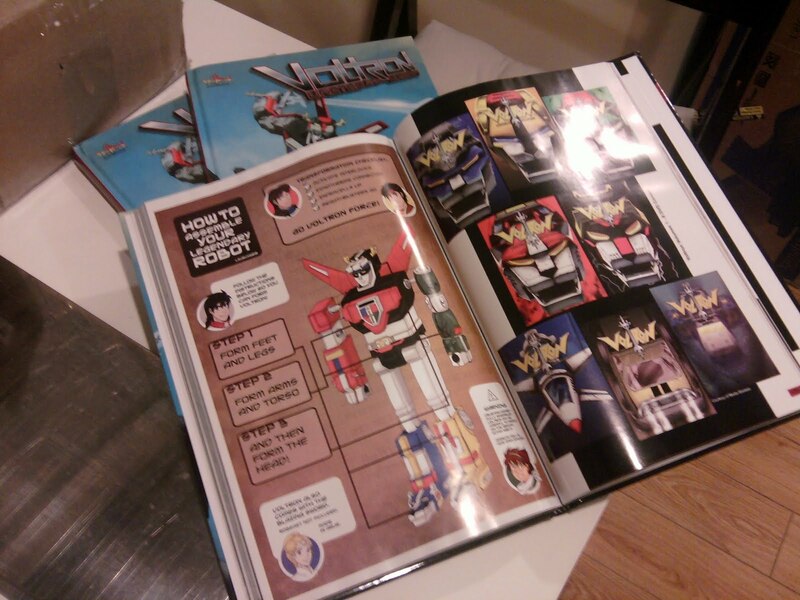 I also have an easier time figuring out where I can insert a double page spread to make sure it actually takes up facing pages. If I have a page count limit, I find it helpful to break the story into chunks and determine how many pages each chunk should take up. If you know about act breaks, you can break your story into however many acts you want (for example, the typical number of acts are 3 for a movie — this is easy to understand: beginning, middle and end). This way, you know what scenes should be extended or cut depending on page availability. I have a lot of fun with dialogue and enjoy writing for comedy. It’s when I script and play with the characters’ voices in my head that I see the comic come to life. But sometimes, I can get carried away with ideas. So getting feedback as early as this part in the process helps me avoid making painful changes down the road when things are harder to edit. Having a working script doesn’t make things final anyway. 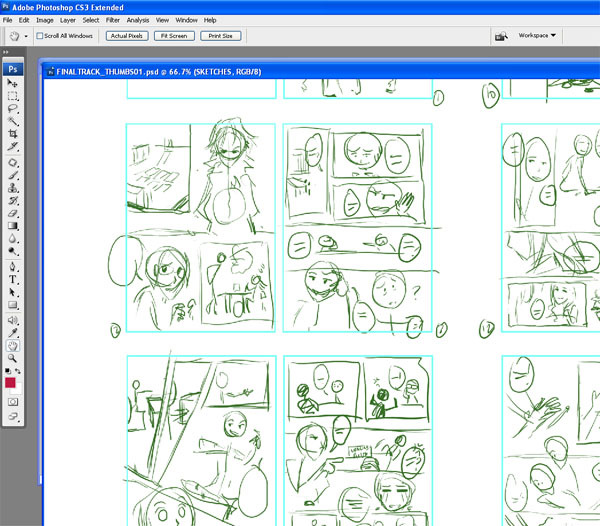 Often, I create thumbnails alongside the script especially if I want to see how scenes break down on a page. This helps me include visual notes that I don’t have to write out on the script. With thumbs, I’ve been wavering back and forth with drawing them on paper and using a tablet on Photoshop. Thumbs don’t really need to be polished which is why I can do them on scrap pieces of paper. But when I’m moving scenes around different pages, having the option of cutting and pasting panels and sequences onto new pages frees me up creatively so I don’t have to erase and redraw anything. I can concentrate on the flow of the story. Flow is really what I pay attention to when I’m working on thumbs. Does it make sense? Are the elements on the page properly guiding the reader? What are the most important aspects I want to highlight in the scene? All of these are questions I ask when drawing the stick figures in the boxes because I want to control the experience of the viewer and make them see what I want them to show them. If you don’t understand what’s going on in a panel of a comic page, it’s likely the result of poor composition choices. Questions? Suggestions? I’d love to hear from you! 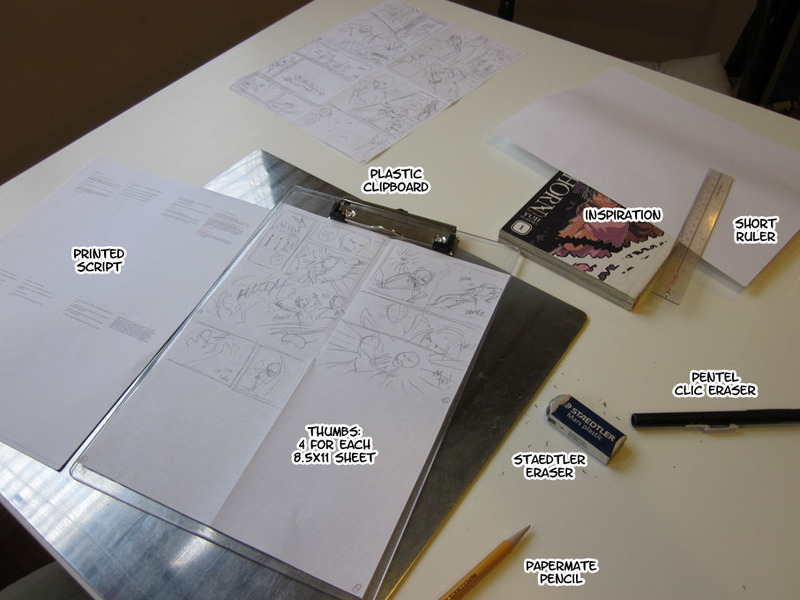 This is Part 1 of a series of posts I’m writing about how I made Final Track, a 34-page shojo manga I worked on as my submission for the Yen Press New Talent Search. All comics begin from ideas. Final Track was an idea I came up with having breakfast in the kitchen one day. From there, it was refined on and off for about two years. However, this post is about cultivating ideas before production even happens. Where on earth do you get ideas? I used to be incredibly jealous of my younger sister who could seemingly pull brilliant comic ideas from thin air. She would come up with dozens of unique characters and situations and it never seemed like she broke a sweat. It took me a while before I started coming up with plenty of my own and it’s then I realized they don’t really come out of a vacuum. To come up with a decent amount of output, you have to make sure you’re getting equal, if not more, input and feeding the machinery in your mind first. I have an incredible love for stories and look for great ones in movies, books, podcasts and TV shows. I don’t limit myself to comics just because I’d like to be a comic artist. Similarly, I also read graphic novels, not just manga, even though I primarily work in the latter medium. I’m not afraid of getting influenced one way or another because I believe stagnant art is boring art. As an artist, we should be constantly trying new things and evolving. I started paying closer attention to all these stories and the elements that made them interesting for me personally. Often, it wasn’t so much the content I would get ideas from directly, but questions like “What if?” or “Wouldn’t it be cool…?” got me thinking about the subject matter I was taking in. Sometimes, it was just the character featured and one amazing trait I admired about them. So I could be listening to an amazing podcast like This American Life and come up with a similar situation (but with an urban fantasy twist!). The point is it usually comes to you when you’re not trying so hard anymore. (This is why most people get their best ideas in the shower.) Now, when ideas come, I find it helpful to be prepared to put them down somewhere. 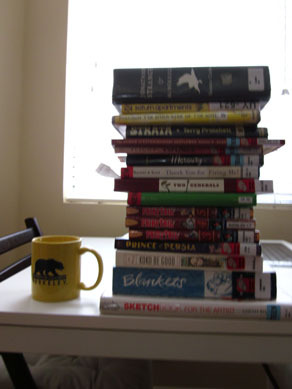 All of these wonderful new ideas had no organized place to go until I read Walt Stanchfield’s Drawn to Life lectures. He suggested carrying a small sketchbook and an ink pen everywhere you go because it helps you take quick impressions of everything around you. This in turn helps sharpen your brain and makes you a more efficient artist. 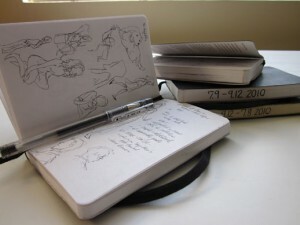 Illustrators and animators often recommend carrying a sketchbook with you at all times because it does keep you in the habit of drawing. 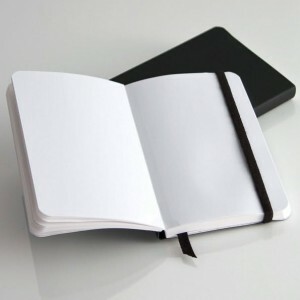 For a writer, having one around makes it easy to jot down bits of inspiration and ideas. As a comic artist, it functions well for both purposes. I tried the Moleskine artist sketchbooks first but found Ecosystem’s sketchbooks have brighter, thicker paper to hold my ink sketches, are made from recycled paper and are cheaper by a few bucks. I use the 3×5 because it fits perfectly in my handbag and I can easily take it out whenever I’m waiting in line somewhere and start sketching away. They can last me for two months and Barnes & Noble (which seems to be the only place that carries them) usually ships free over $25 so you can get a few of them in one go if you like them. 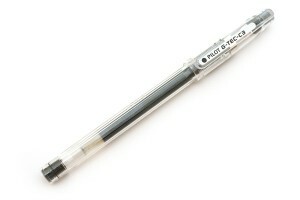 I originally used the Pilot G-Tec C3 pen for inking super fine details. On Moleskine paper, they did take a longer time to dry and occasionally smudged if I went on to another page. On ecosystem, they work beautifully providing a thin, bright consistent line. I’ve never had any of these pretties vomit ink all over myself or my bags so I absolutely love them. I got these 0.3 pens back in the Philippines and was lucky enough to be given an entire box by my friend. If you’re interested in one, Jetpens carries them for $3 each. Now, as a kid, I remember actually preferring a ballpoint pen over the blunt No. 2 pencils lying around the house. I loved the smooth, steady flow of ink and drew stick figures all over my parents’ newspapers and other available paper surfaces I could find. Using ink makes your drawings last longer and it forces you to be more efficient with your strokes, making you a better artist. So, not only are all those stick figures still present in my 2nd grade piano books two decades later (much to the amusement of my parents), they’re also a testament to how much I’ve improved. Keep in mind, these are my tools and they work for me as other tools can work for other artists. You don’t have to get the actual items above to do the same things. My sister likes carrying a portable watercolor sketchbook, a brush and colors because she can do colored illustrations in a flash. What will work for you? I think it could be fun finding out! Happy New Year, everyone! I’m happy to announce I finally have a new site and blog to present myself more professionally to the interwebs. WOO! I’m going to be updating my blog with a rundown of how I completed my latest project Final Track, my 34-page shoujo manga entry for Yen Press’ New Talent Search. Not saying I’m a guaranteed shoo-in or anything like that at all, but I just want to share the process I ended up using. Hopefully, some of you might find tips and processes that are useful (or if you realize I’m doing something completely ridiculous, feel free to tell me about it and share your own tips and tricks). Stay tuned for that! Due to my recent entry into the world of unemployment, I’ve found myself indulging in a nearly forgotten pastime, reading library books! I usually only have time for one to three during the week. This time, however, I’ve been able to go back and forth looking up older titles and picking up certain things I’ve been meaning to read for the longest time. I particularly spent time creeping about the Young Adult section where I just discovered all the other graphic novels were being kept. HAHA! Scott Chantler is ALL KINDS OF AWESOME and I cannot wait to read his other book, Tower of Treasure. Northwest Passage was visually exciting and well-paced. I loved the character designs and his linework and style is just so confident I could weep. I was concerned Two Generals would be a little dry for me but it still packed an emotional punch I completely didn’t expect. I would totally go to a Jen Wang school if she taught how to convey emotions and expressions as beautifully as she does in Koko be Good! I’ve known her work for quite some time having followed her early webcomic, Strings of Fate. I look forward to reading more from her. For now, look me up on twitter and deviantart as I’ll be posting more stuff in the coming days.